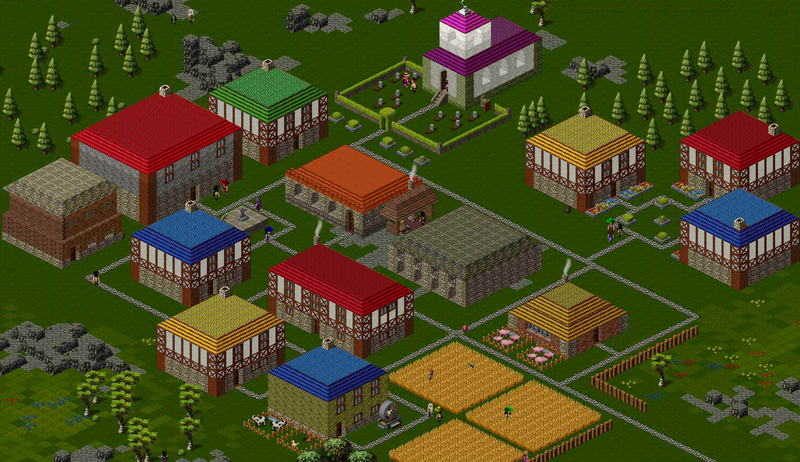 Every building option and zone is available to you at the start of the game. 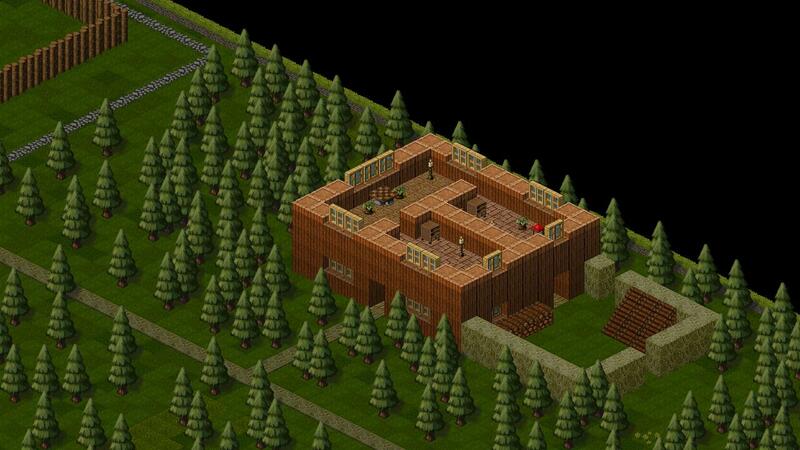 Placing your zoning *which is self-explanatory* (Carpentry, Masonry, Bakery, Dining Room, Forge, Personal Rooms, Kitchen, Hospital, Atelier (cloth and leather), Arena, Balcony, Tavern, Tavern Rooms, Market, Barracks) Leaves you with quite a few options on how you would like to set up your town. *Tip: Place farms and wheat next to bakery and kitchen for faster producing times. * You will want to use all of these, as the items you can create require carpentry benches and a wood detailer to create wood items, along with Masons bench and Masons burner to craft buildings and items out of stone. Each will be on the set zone you create (does not cost or take build time to lay a zone.) Once you are gathering and harvesting wheat to make ends meat (in this case bread. A lot of bread, double or triple the amount of townies is recommended), you will need to set up personal rooms for each townie you have as well as build some extras to hopefully bring travelers to your newly formed abode. Before being eager to explore the vast majority of the top world, I would suggest building a tavern with some tavern rooms attached, this will welcome heroes to your town, which you will need to explore the world below. Heroes play a major role in bringing the RPG aspect to Towns, as they take care of most of the dirty work for your town. If you have not dug underground, they will wander off and explore the top of your map, killing ferocious “Frogies” and defending your town from siege attacks. (Siege attacks are random. They happen not so often, but as you work your way farther down and build a higher population they are more frequent.) You cannot control heroes; however they are implementing quests for them. As for now they are awesome tanks that clear dungeons in a matter of days so your townies can gather the loot and bring them up to the surface. Among these items are magical LTE items you can use to craft magical armor or weapons for your soldiers or towns people to help defend from sieges when your heroes are 5 stories below the surface. Along with bones and random rare drops, (sorry no gold coins yet!) Setting up a market will allow different caravans to randomly head to your town so you can sell any random useless junk you may have, or trade for any items you need. Townies are hard to keep pleased. You will spend a lot of your time picking up items, building, and keeping the food stocked. And hell they still might die when you have the food stocked from just being overworked. No need to fear however, another great addition they are adding due to feedback is a job list. This will assign certain townies to focus on one or two jobs only. With this comes a level system allowing you to cook /make better foods and armor. You will need things like a market, personal rooms, balconies and arena’s as well as crafted items in homes and buildings to keep your townies happy while they are working. Best thing is to let them idle after a project or two, to bring in new townies. Towns offers some really cool features that I have not mentioned yet, one being adding a roof to a building increases productivity to 35%, great for cutting stone, wood and making food. Also building roads will increase their movement speed by 35%, while at the moment they do not fully stick to the awesome road plan, the perks for mapping them out are in effect. Another good feature is the priority list, which allows you to semi-control what tasks take priority in the daily fight for survival. Whether this is baking/cooking, hauling goods, chopping trees/tiling grass, construction jobs, item creation, butchering, mining/digging and gathering/harvesting. *please note when hauling is top priority one item is gapped every 8 turns. 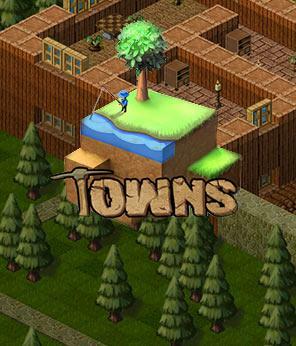 * Towns also allows you to set your people as soldiers, with this comes two different options. You can make them boss around other townies, or set them as a patrol unit around your town or an entrance of a dungeon. You can also assign them to a group which comes in handy with 100 or more townies. Unlike heroes, you have the ability to equip townies with items and armor that the hero doesn’t need. This will be very handy when you set sieges to a higher difficulty, and your soldiers are nowhere in sight.